Since the Xia (c.2100-c.2600BC) and Shang (c.2600-c.2100BC) dynasties, our ancestors have created a complete regimen of physical exercises, massage and regulated breathing (qigong) in order to live long in good health –a unique system that coordinates the body and the mind. 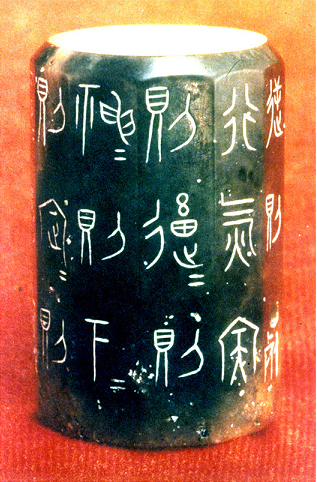 Section of "On Breathing Exercise"inscribed on a piece of jade during the Warring States Period (475-221 BC), as the earliest extant artifact with an inscription on the maintenance and improvement of health. 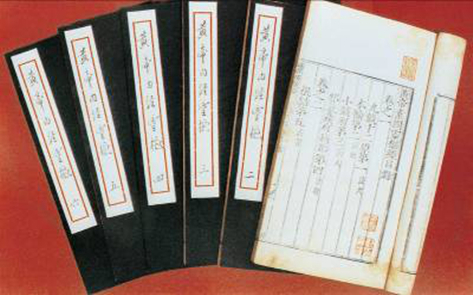 The Yellow Emperor's Canon of Inter Medicine, the earliest medical classic extant in China, which appeared earliest medical classic extant in China, which appeared in the Warring States Period, dealing with the medical theories of the time, including how. 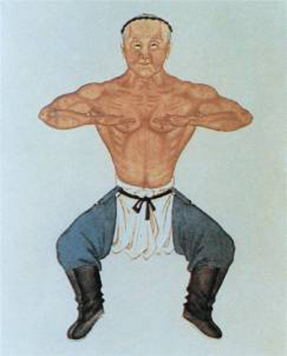 An illustration by Chen Tuan (871-989) to daoyin exercises in 24 forms for the 12 months, consisting of movements to press the knees, extend the four limbs and turn the neck and so on according to different climates and seasons. 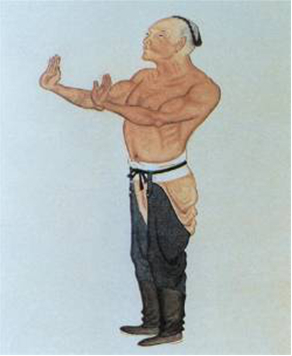 An illustration from a book on qigong and regulated breathing, published in the Qing Dynasty.